This sunburst of a building is Phnom Penh's Psah Thom Thmey, known commonly as the Central Market. Built in 1937 the central dome has four massive hallways lined with stalls that radiate from the center. When it opened the Central Market was thought to be the largest market in all of Asia. It took two years to complete the construction and that doesn't include the time it took to fill in the lake that once stood where the market is now. 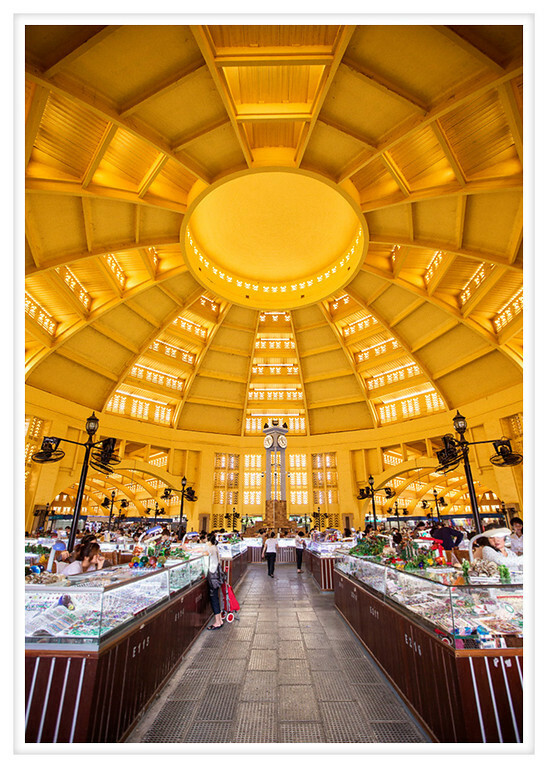 The Central Market was and is an Art Deco masterpiece, it is a gleaming gold and ivory monument to the French colonists and stands today as proof of Cambodia's colonial past.